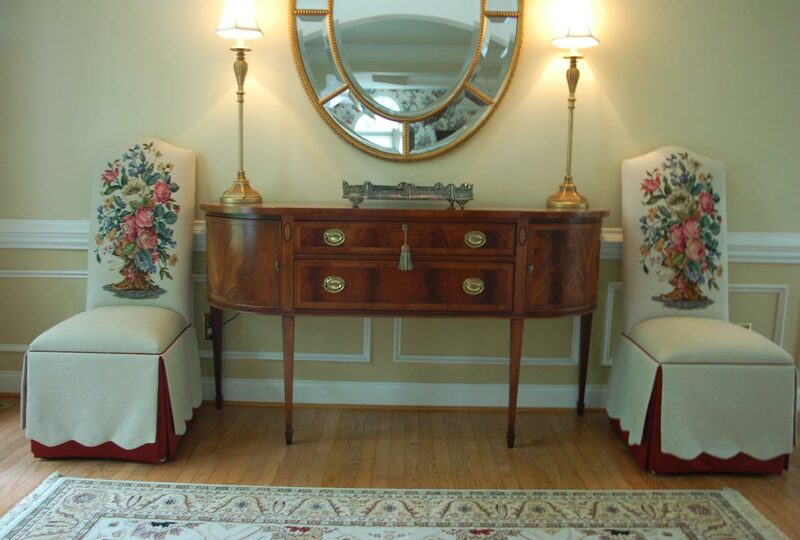 Scroll Back Parsons Chairs with Kick-Pleat Skirts framed by two large columns. 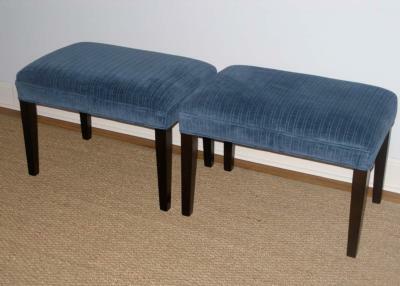 A pair of Bronte Petite Benches are great for extra seating in a pinch. 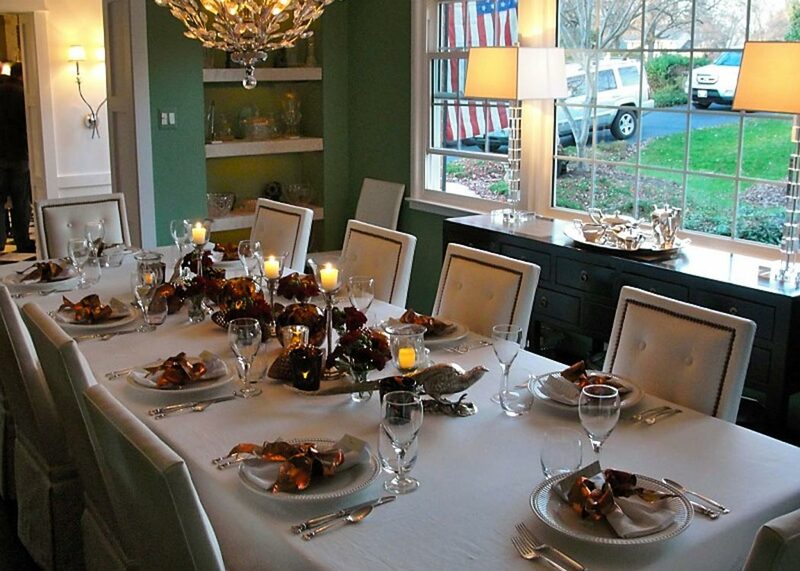 Carnegie Parsons Chairs in Sally White fabric, surrounding a beautiful holiday place setting. 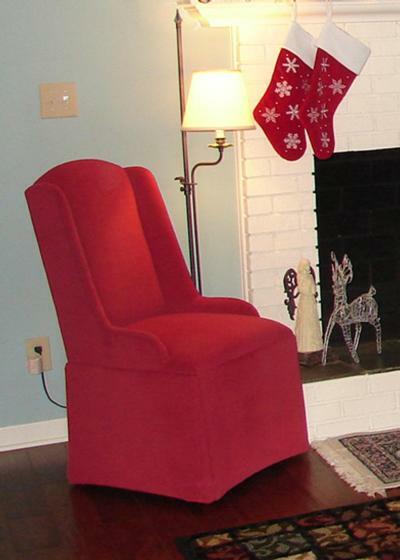 Hartford Parsons Wing Chair used as an ocasional chair. 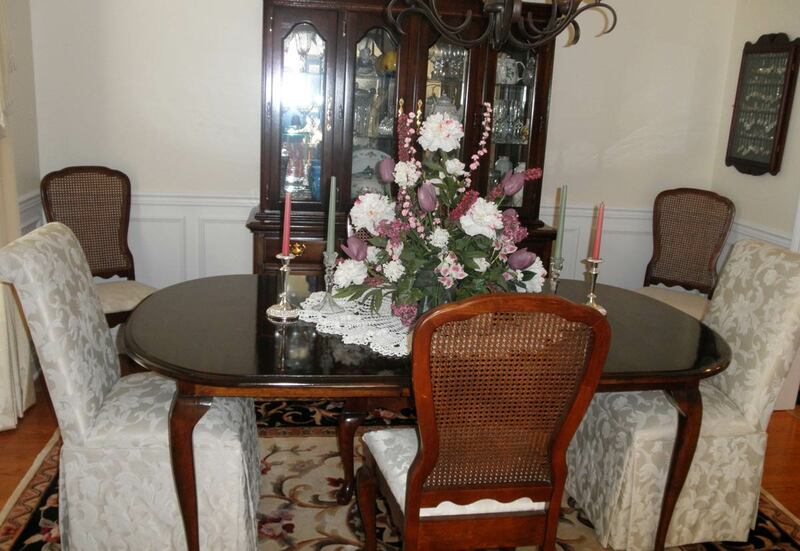 It is the perfect size for this small space next to the fireplace. The black matte finish on these Camel Back Dining Chairs with Tapered Legs is a perfect match for the table. 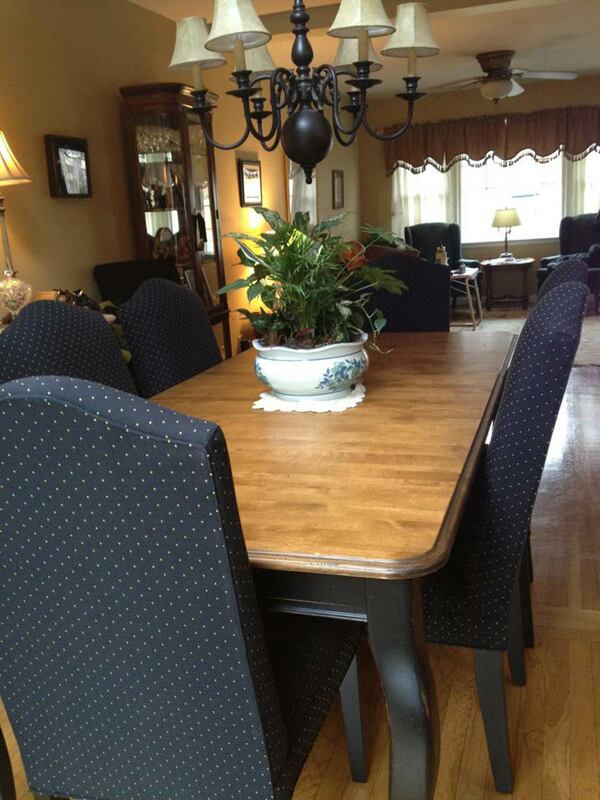 This customer purchased two skirted Scroll Back Parsons chairs to add a little flare to an older dining set. Our customer sent in 2 large needlepoints that she found in a consignment shop. 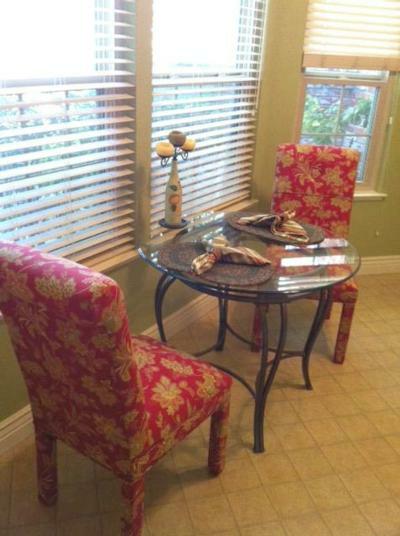 We turned them into the backs on a pair of Scalloped Skirt Parsons Chairs. 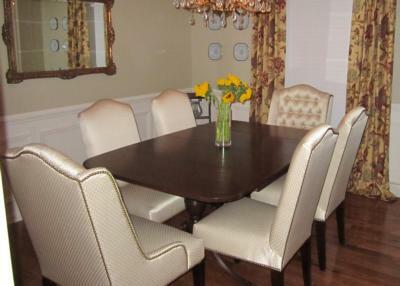 Ms. Nohe selected four Camel Back side chairs and two customized Fairfield Host Chairs for her lovely dining room . 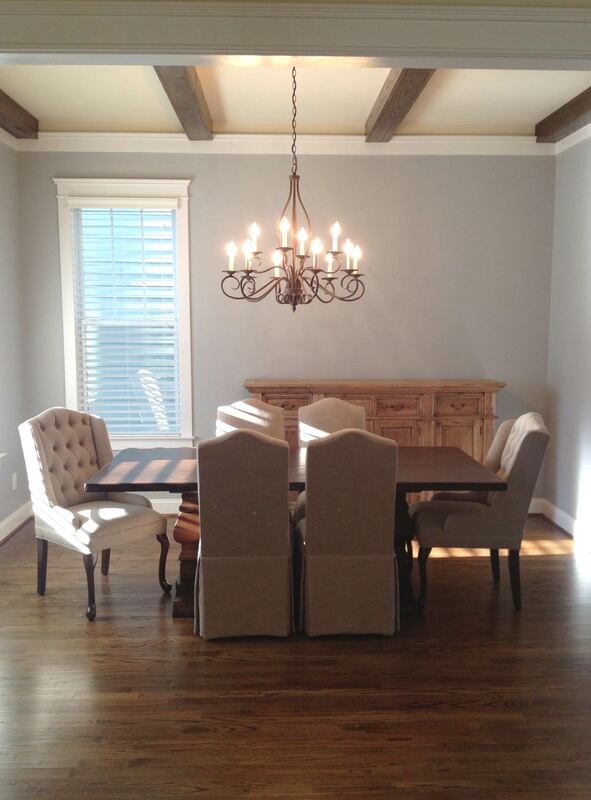 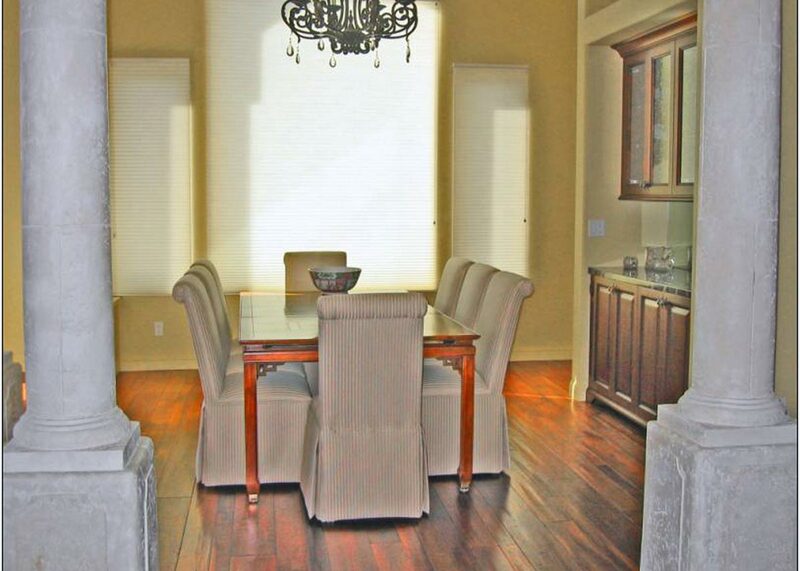 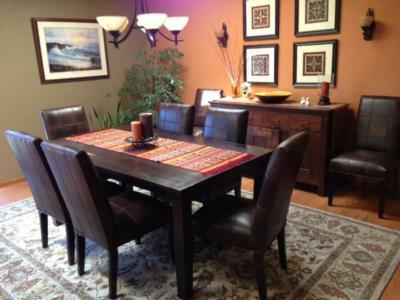 A gorgeous dining room with eight Trent Leather Dining Chairs. 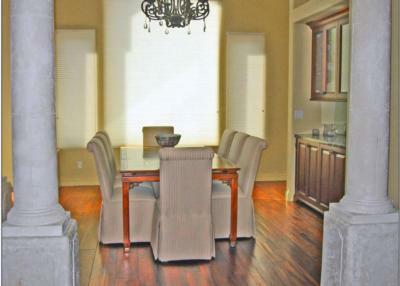 The color selections in this room are stunning. 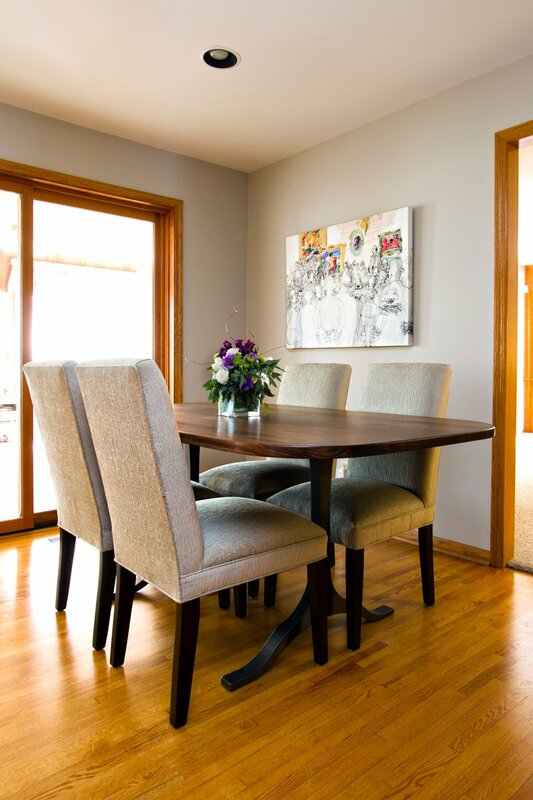 Straight Back Dining Chair with Tapered Legs in a contemporary dining room setting. This customer sent in her own material for her 3 Mitchell Counter Stools. 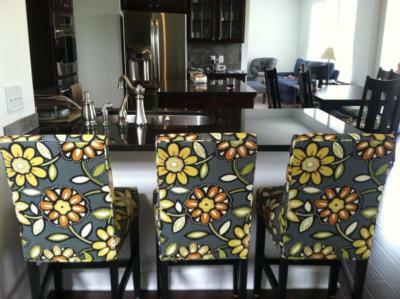 The bar in her kitchen is absolutely stunning. These two Pembroke Parsons Chairs in Sabrina Vintage Red look great in this little breakfast nook. 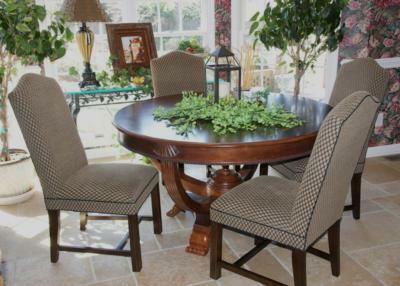 Crescent Back Parsons Chairs with banded skirts encircling a round table. 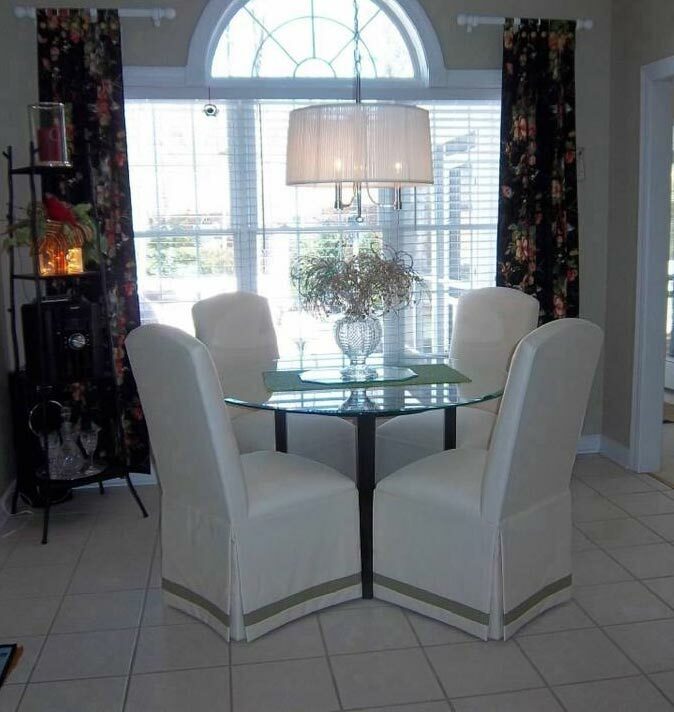 The contrasting band helps to set the chairs apart from the neutral colored floor.